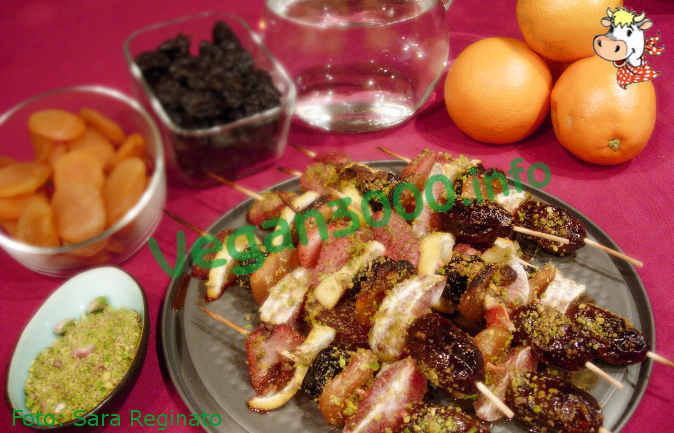 Prepare skewers with fresh and dried fruit. Pass them in a syrup made with Maple juice mixed with water and then in chopped pistachios. Bake the skewers in a hot oven at 200° C in a few minutes to get them to caramelize.